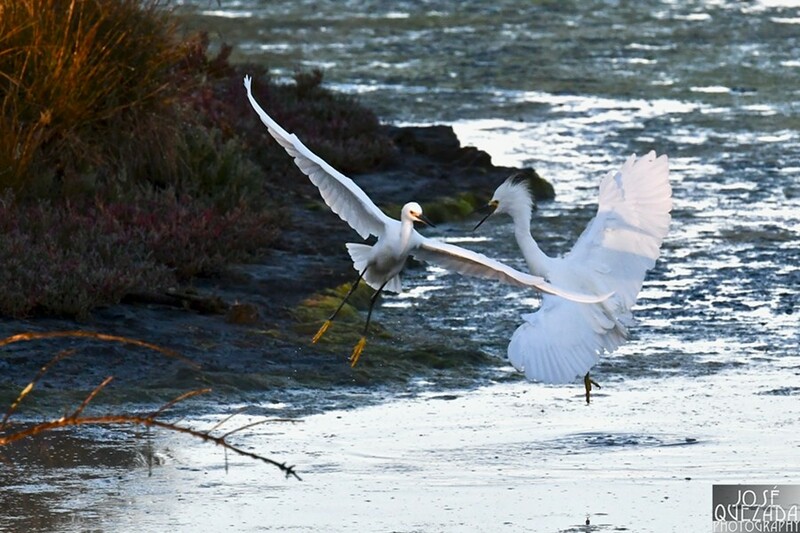 During January and February, nature photographs by Jose Quezada will be on display at the Arcata Marsh Interpretive Center. Shows featuring local art and photography are sponsored by Friends of the Arcata Marsh. The Interpretive Center is located at 569 South G Street in Arcata and is open to the public Tuesday through Friday from 9 a.m. to 5 p.m., Saturday and Sunday from 9 a.m. to 5 p.m., and Monday between 1 and 5 p.m. For more information, call (707) 826-2359. “I have lived and worked in Humboldt County for 47 years. I am currently a freelance photo journalist for the Eureka Times-Standard, after retiring from 28 years of managing workforce programs and supervising vocational counselors for Humboldt County. I helped start the first Head Start preschool here, spending eight years working with children and families after attending Humboldt State University. I and my wife Heather Shelton are beginning our 11th year singing and dancing with parents and their babies with our business, North Coast Music Together. Other than taking one class from Juan Freixas at Swanlund’s Camera in Eureka, I am a self-taught photographer. I draw inspiration from my brother Roberto, who’s “the real photographer in our family.” I recently started two websites that highlight my work and that of other local freelance photographers (www.humLook.com and www.humSport.com).